Stroke is a significant cause of disability in Illinois. A stroke occurs when the brain’s blood supply is blocked or when a blood vessel ruptures, killing cells and damaging brain tissue. Stroke victims may lose whatever function the damaged tissue was responsible for. Stroke often causes impairments in memory, speech or movement. Many victims also experience loss of sensation or muscle weakness. Immediate treatment can reduce stroke severity, and rehabilitation can help victims regain some abilities. There is presently no accepted treatment to reverse the damage caused by a stroke. 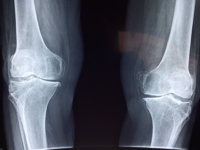 However, a new test suggests that stem cells injections may support recovery. During the test, researchers gave 18 stroke victims stem cell injections around the edge of the affected brain tissue. Each patient received one of three possible dosages. After six months, researchers administered three tests of function and found that every patient showed signs of improvement. Two patients made surprisingly strong recoveries. Both patients received treatment over two years after their strokes, when researchers would not have expected recovery to occur. One woman could only move one thumb before the treatment. She showed improvements the next day, and she stopped using her wheelchair within a year. Another woman’s ability to speak and walk improved significantly during the year after the treatment. This test served mainly to investigate the safety of stem cell injections, but now, researchers plan to expand upon it. Additional studies and trials will be necessary to support the results. However, if those efforts are successful, stem cell injections could help thousands of people who live with the disabling effects of stroke. They meet the Social Security Administration’s Blue Book impairment listing for stroke. Victims can qualify this way if the stroke is accompanied by loss of ability to write, speak or control two extremities. They meet the requirements for a different disabling condition in the Blue Book, such as visual impairment, as a result of the stroke. They cannot work due to their functional limitations following the stroke. The SSA will not evaluate impairments or functional limitations until three months after the stroke occurred. Before this point, evaluating how a victim will recover or what ongoing effects the stroke will cause is difficult. Still, victims should keep track of treatments and medical records during this time period. This will facilitate the SSD application process if the stroke results in lingering disability.